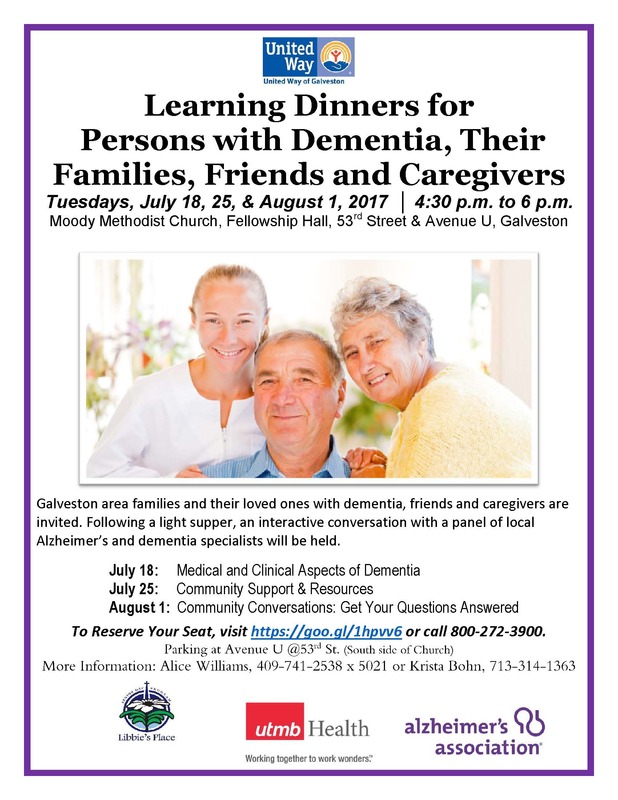 Join us for one of Galveston’s Learning Dinners for People with Dementia, Their Families, Friends, and Caregivers. 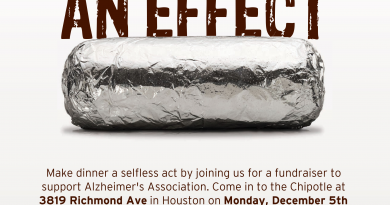 Galveston area families and their loved ones with dementia, friends and caregivers are invited. Following a light supper, an interactive conversation with a panel of Alzheimer’s and dementia specialists will be held. The Alzheimer?? ?s Association Houston and Southeast Texas Chapter, Libbie?? ?s Place, and UTMB?? ?s Center for Spirituality of Aging have partnered together through a United Way of Galveston grant to host a series of learning dinners specially designed for people with dementia and their loved ones. 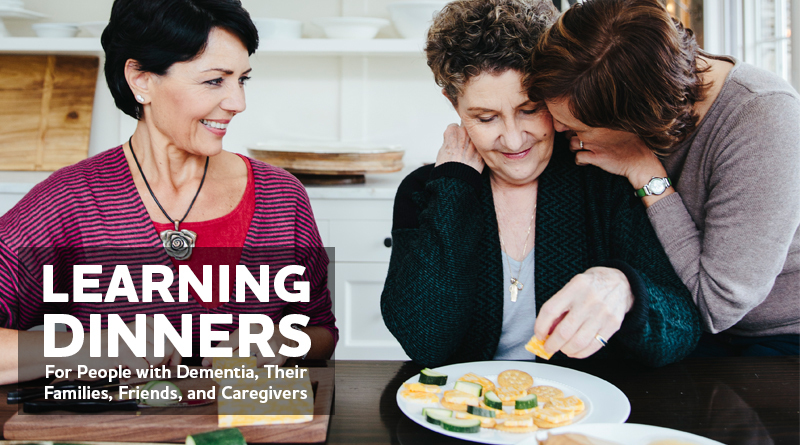 These dinners will cover a variety of topics related to dementia, featuring a panel of Alzheimer?? ?s and dementia specialists. Click here to reserve your seat, or call 800-272-3900.